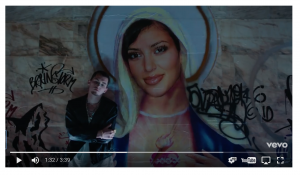 Furthering looking into the concept of Virgin Mary and how does modern day approach her and the religious beliefs for christianity / catholicism – I found the singer ‘MO’s’ new chart hit and video which Virgin Mary appears in a very unique and VERY recognisable way for teens of my generation. 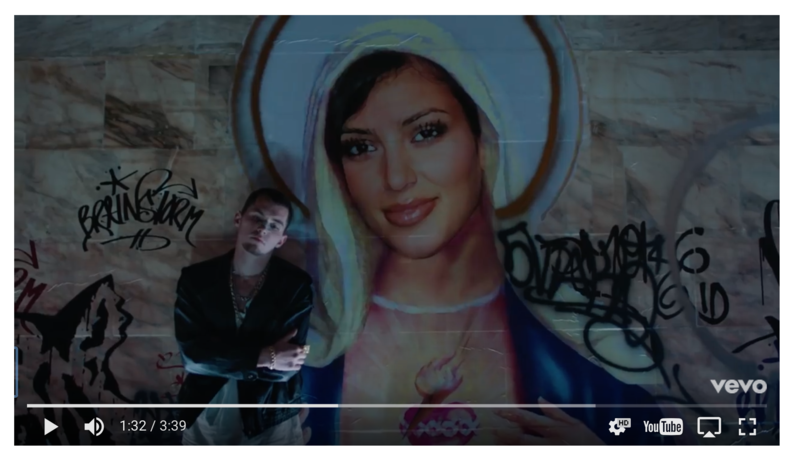 Kim Kardashian painted as VM on the wall behind the singer brings a light-hearted but powerful take on the religious star, bringing two iconic people together as one (ones which are so very different!). 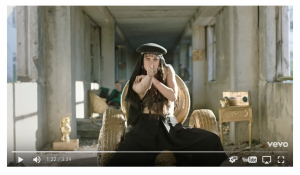 I think this plays on the theme of feminism and showcases a question of ‘why does having a bad and opinionated background make you any less of a saint?’ (for Kim K that is if you understand her past in the media). 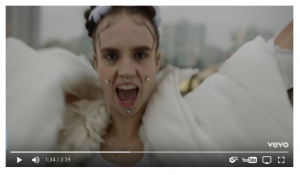 Also, the VM is shown subtly constantly throughout the video through choice of clothing – the black head band / hat and the white, quilted over-coat acting similar to an angels outfit. The idea of black clothing contrasting to the white both within the video almost reflects my idea of opposites and how i would want to show innocence and purity against rebellions.